Objective: Identify needy families of handicapped children living in remote areas of the hill country; match them with sponsor families, societies, or individuals abroad who wish to give that child a better chance in life, design and oversee individual schemes to bring lasting change to the lives of handicapped children and their families. Kirubalandren is a 14 year old boy who lives with his parents and two sisters. Both parents are laborers on a tea estate and they are living in an estate line house. Kirubalandren is mentally disabled boy who can neither walk or talk. He often suffers from pneumonia and seizures. Because of his physical health issues, he needs to visit Badulla hospital clinic once in every two weeks. Each 60 km to Badulla is costing the family about $20. We would like to find a donor for him to improve his health and diet. Pawalarani is 27 years old and living with her mother, brother and a sister Puwaneshwari who is having health conditions from her birth. 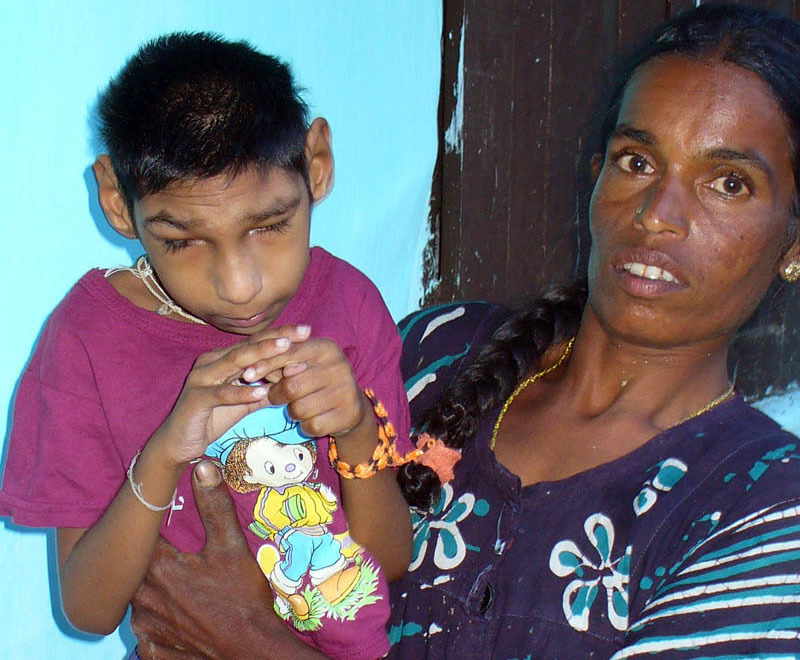 Pawalarani is about two feet tall and having difficulty	walking. She attended school and passed 9th grade. Also she has learned computer education in Nanasala. If Pawalarani has a computer she will able to do a job in Nanasala while staying at her own home. The computer will cost ~$400 and the Internet will cost ~$0.50/day. We are seeking the donor who is willing to help Pawalarani to recover her life and	self-esteem. 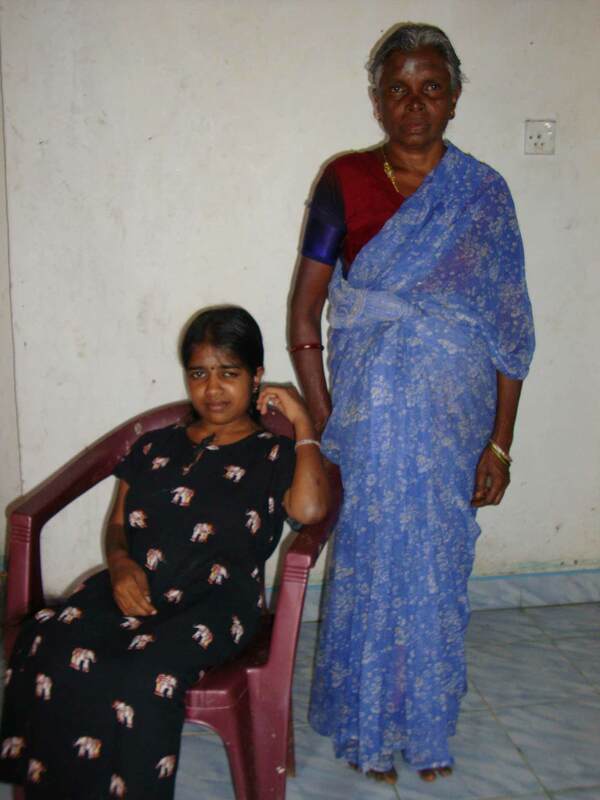 Puwaneshwari	is a 26 year old woman living with her sister Pawalarani, brother and mother. She suffers from panic attacks and she cannot walk from her birth. Because of her health conditions she has to visit to the clinic every week. 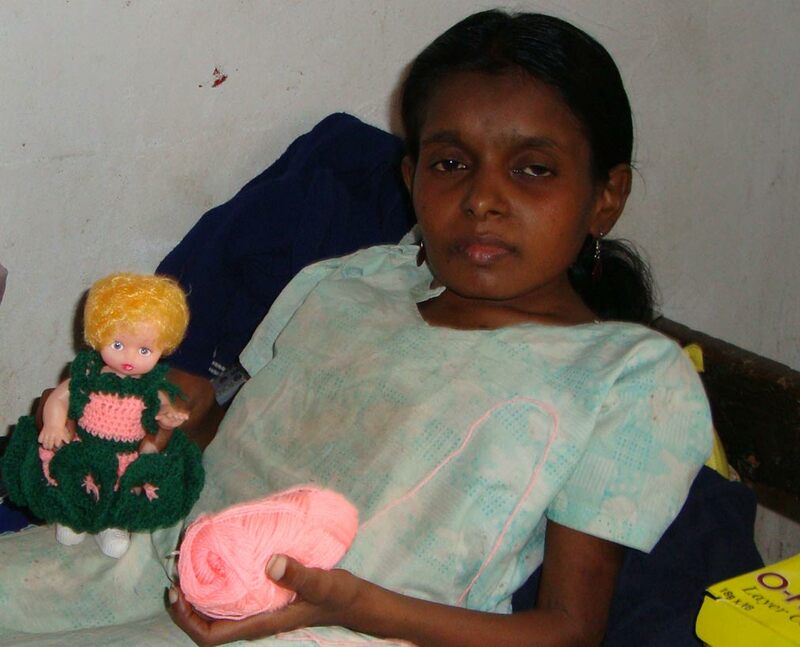 Puwaneshwari is gifted with knitting and she is making knitted dolls. Only problem is that she has not enough money to buy materials to develop her ability as a career. If someone is kind enough for her to help out she will able to start up her own business by selling these dolls. Looking for a donor who could donate her $100 to start up her own business. She is ambitious and wanted to find her own medical expenses by doing her own business. Kokilaveni is a seven year old girl who lives with her parents on the Poonagala Tea Estate. Kokilaveni was born with a hole in her heart. She used to go to school, but because of her condition the doctors advised her to stop her education until she recovers from this disease. 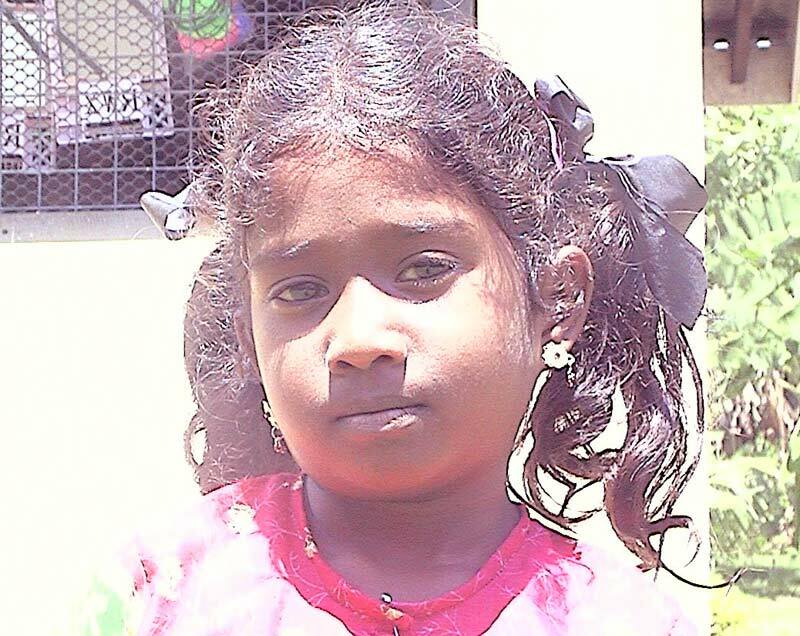 Her doctors have advised her parents to do an emergency surgical procedure, at an estimated cost of $3,500, of which the Sri Lankan Presidential Fund has agreed to donate $2,000. Kokilaveni's parents have obtained some collected about $500 towards the operation. So for her to perform her surgery soon they are lacking about $1,000. We urgently need to find a donor or donors who could donate this sum to save this darling girl's life. If you would like to sponsor a child or youth seen here, please contact us.